Are you ready to walk down memory lane with me? 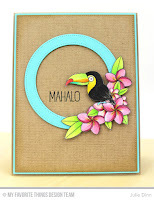 The MFT design team is sharing their top ten MFT creations on their blogs today. I picked a couple of oldies for sentimental reasons, and the rest are my favourites from the last few few years. I hope you enjoy! My next project was created in November of 2009. It was my final project in MFT's So You Think You Can Stamp contest. I was one of the three finalists and the grand prize was a spot on the design team. I didn't win the contest, but I absolutely loved the way this box turned out. It holds a special place in my heart, as do the two talented ladies that were finalists with me. I used many of the images from the Who's that Girl line of stamps on both the inside and outside of the box. The images were embossed in white on black card stock. We're going to skip ahead a few years now to January 2013. 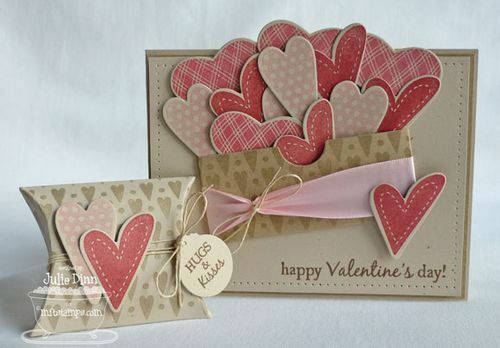 This project features two of Lisa Johnson's stamp sets, Homespun Hearts and Hearts and Stitches. I picked this project for a couple of reasons. I love the pink, red and kraft color combination. It has a homemade, country feel to it. 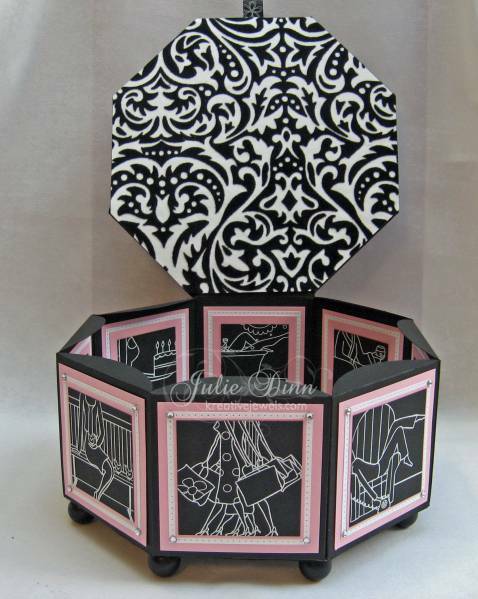 I also love to make small treat boxes to go with my cards. This pillow box was one of my favourites. I created the next project in January of 2014. This card features the Picture This stamp set and Cute Cameras 2 Die-namics. 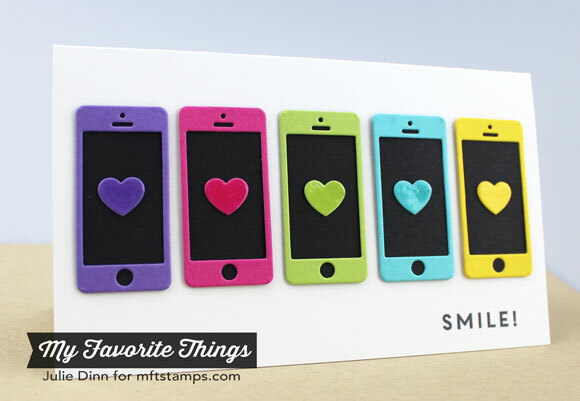 I love the bold, bright colors on this card and the glossy hearts just make me happy. 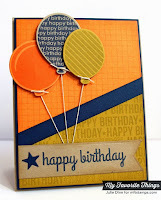 This next card is from August 2014, it features the Party Balloons stamp set, along with Spotlight Sentiments and the Grid Background. I picked this card as one of my favourites as I love the color combination of Kraft, Orange Fizz, Fuse Green, and Nightshift Blue. I also really liked the way all the elements came together on this card. It's a fun masculine card. I have another card from September 2014 that I just LOVE. 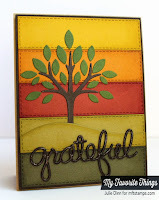 This card features one of my all time favourite dies, Horizontal Stitched Strips. I seriously love them, I have to force myself not to use them on everything! 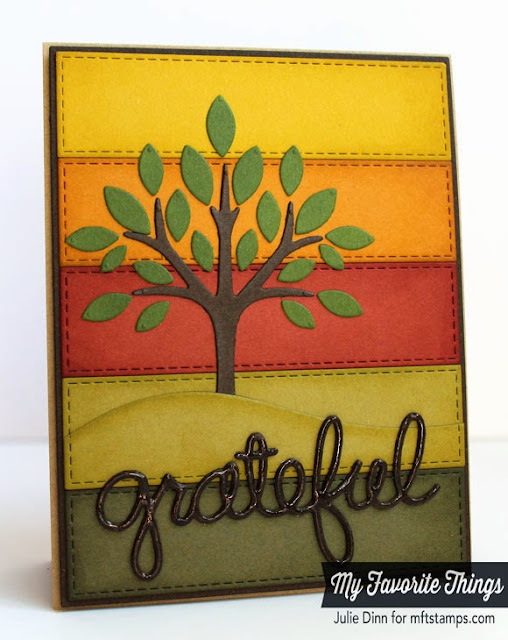 I love the fall colors on this card and the way the tree is perched on a hill. I finished the card with one of my favourite sentiments, grateful. This next card was created in February 2015. 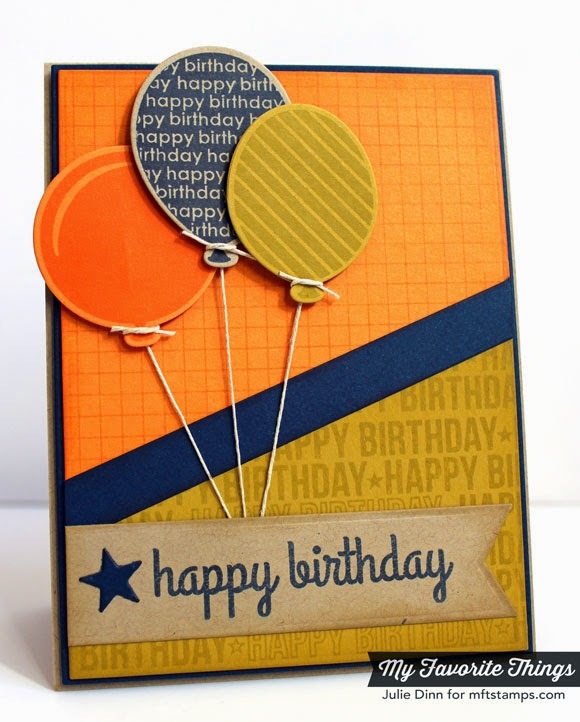 This is a very simple card, but I love it! 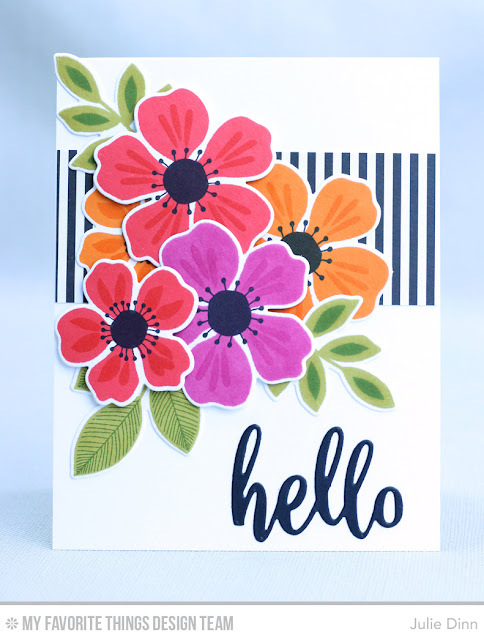 I love the bright flowers on the crisp white card stock, and the touches of black just frame everything perfectly! This next card was created in June 2015. Like may of you, I struggle with Copics! I can never get the hair quite right, I over blend, I forget to leave white spots, and the list goes on! I was thrilled with how the hair turned out on this card. I actually felt like I knew what I was doing! 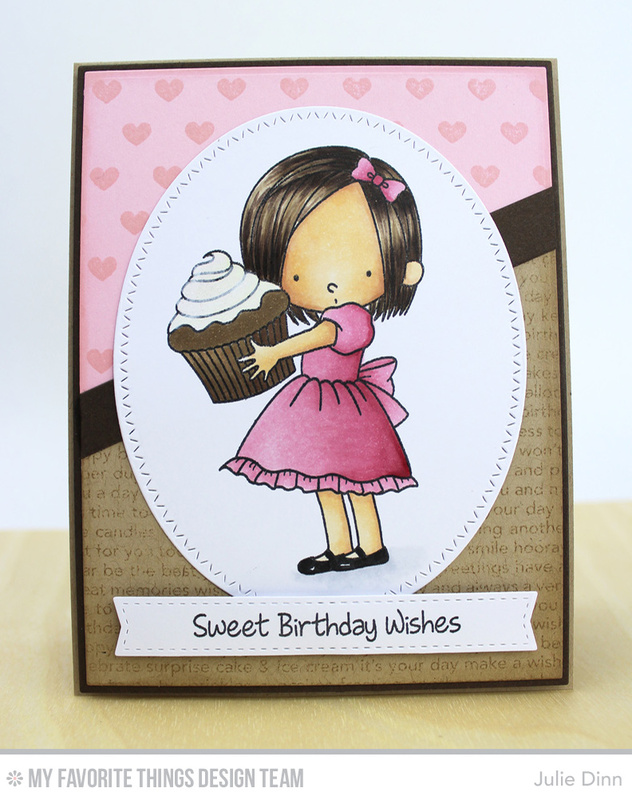 LOL I also love the pink and brown color combination and the way the two background stamps worked together. 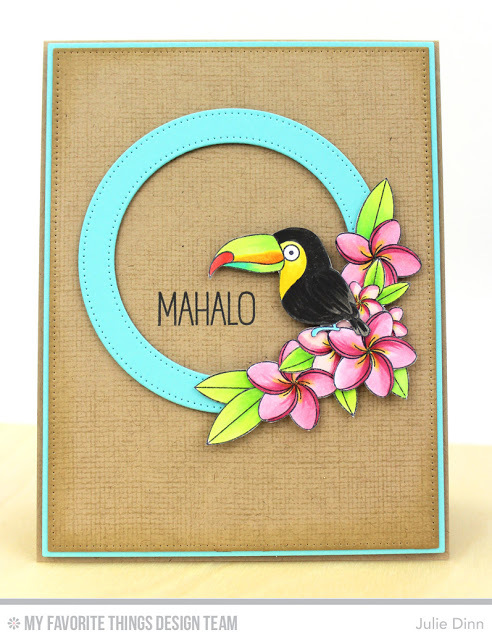 This next card is also from 2015 (July), it features the gorgeous Polynesian Paradise stamp set and one of my favourite backgrounds, Burlap. 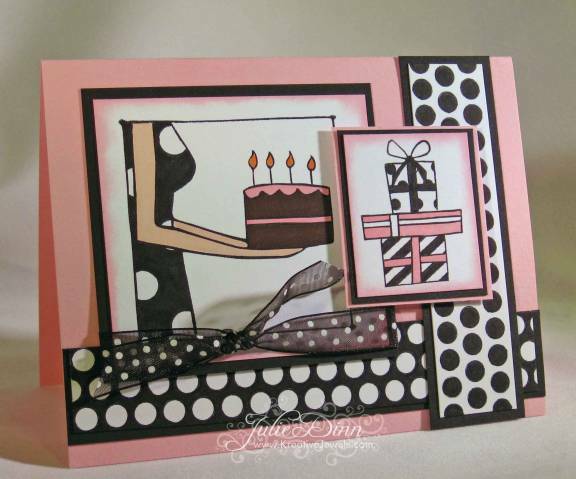 This is another fairly simple card, but I loved the way everything came together when I created it. It was one of those rare cards that the end result was exactly what I had pictured in my head! I managed to colour the flowers exactly how I wanted to, and I also did a bit of shading on the wings of the toucan, which was a huge victory for me! My final card was created this past May. 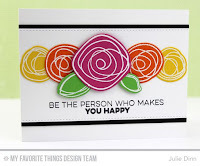 It features the fabulous Flashy Florals stamp set. 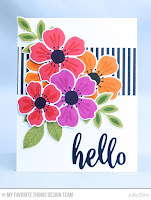 I absolutely love this stamp set and the gorgeous ink colors that were featured in the Flashy Florals card kit. 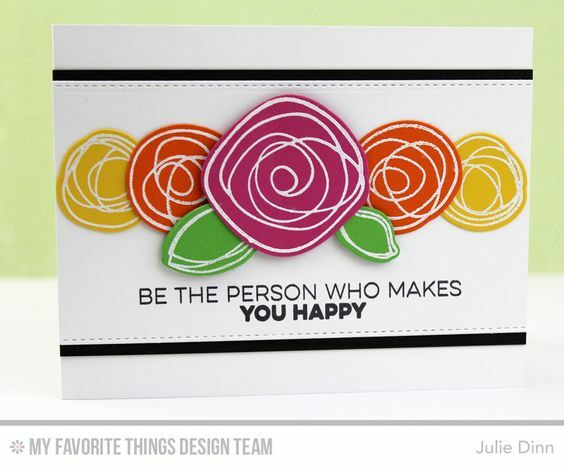 Once again, I love the bold bright colors on the white card stock, with a touch of black to pull it all together. I hope you have enjoyed my trip down memory lane. I can't tell you how difficult it was just to pick ten projects. Be sure to check out the MFT Blog to see all the incredible projects my design team sisters have picked as their favourite projects. I can't wait to see what they picked! I can't imagine choosing your top 10 dating back to 2007! I enjoyed seeing every card - and that box! - and hearing your stories behind them. You do beautiful work!